Having an elevation of about 2,250 metres above sea level, Chail is no less than a paradise for leisure tourists as well as honeymooners. It is a popular hill station in the North Indian state, Himachal Pradesh. This region rose to fame over the years owing to its environs, which have something or the other in store for tourists. Its summers are characterized by a cool and pleasant weather, while snow covers all the mountains nearby during winters. People visiting the hill station can also tour some well-known regions located close to it. Among them is Kasauli, situated in the tranquil surroundings of Himalayan mountain ranges. It has amazing forests of Himalayan Oak, Chir Pine and Horse Chestnut, and has an altitude of 1,928 metres. Best time to visit this region is during the period between April and September. Shimla is another beautiful region near Chail, which was declared as a summer capital during the British rule in India. The pleasant climate of Shimla rejuvenates its visitors, while the vast expanses of Pine, Oak, and Cedar forests are a great delight for tourists. Solan, having an altitude of 1,445 metres, is also called 'Mushroom City' for its vast farms of mushrooms. 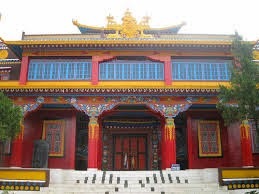 Popular tourist attractions of this place include the Dolanji Bon Monastery and Jatoli Temple. An accommodation in any of the Chail resorts not only provides travellers with a pleasant stay, but also gives them the chance to visit all the popular attractions in and around the hill station. Airports closest to Chail are located at Shimla and Chandigarh, which helps air travellers to reach the hill station. Those who prefer to travel by train can get to Chail using the Kalka-Shimla railway. Tourists choosing to travel by roadways can also reach Chail without any hassles, as it enjoys good connectivity to the neighbouring towns by road.